Comparison of Hybrid PSO-SA algorithm and Genetic algorithm for Neural Network training. Computer Engineering and Intelligent Systems . Using simulated annealing with a neural network for classification. National Conference on recent frontiers in applied dynamical systems. Coimbatore 21 - 22, January 2011. Function approximation with a neural network trained using simulated annealing. National Conference on recent frontiers in applied dynamical systems, Coimbatore. 21 - 22, January 2011.
International conference on Recent Advances in Mathematical Sciences and Applications, Visakhapatnam. 16 Sushil Baid, Simi Varghese, S.K. Shristav and S.G.Sanjeevi Object oriented approach to application-level tunneling: TCP/IP over IPX Proceedings of National Conference on Object Oriented Technology (NCOOT 97) , Warangal. 23rd &24th , August ,1997. Attribute Reduction in Decision-Theoretic Rough Set Model using Particle Swarm Optimization with the threshold parameters determined using LMS training rule 3rd International Conference on Recent Trends in Computing 2015 (ICRTC-2015), Ghaziabad 12-13, Mar 2015. Attribute Reduction on Continuous Data in Rough Set Theory using Ant Colony Optimization Metaheuristic ACM Proceedings of the Third International Symposium on Women in Computing and Informatics (WCI-2015), Kochi 10 - 13 August 2015, pp. 17-24. Machine Learning, Neural Networks and Soft Computing, Fuzzy and Rough Set based Systems, Artificial Intelligence, Data Mining and Big data Analytics. Artificial Neural Networks and Applications at NIT Warangal. NIT Warangal sponsored by MHRD-IITKGP-NITW under Teqip-II. Received best paper award for paper titled "Connectionist Reasoning System using Coarse-coded Distributed Representations", presented at International Conference on Systemics, Cybernetics and Informatics ( ICSCI-2005) during 6th to 9th Jan 2005. 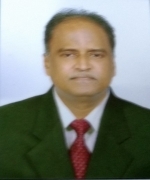 Faculty Incharge, MIS since Mar 2010Board of studies Member for CSE, Kakatiya University. Board of studies Member for CSE, JNTU Hyderabad. Board of studies Member for CSE, Kakatiya University. Staff Advisor Computer Science and Engineering Association (CSEA) from Aug 2006 to June 2011.